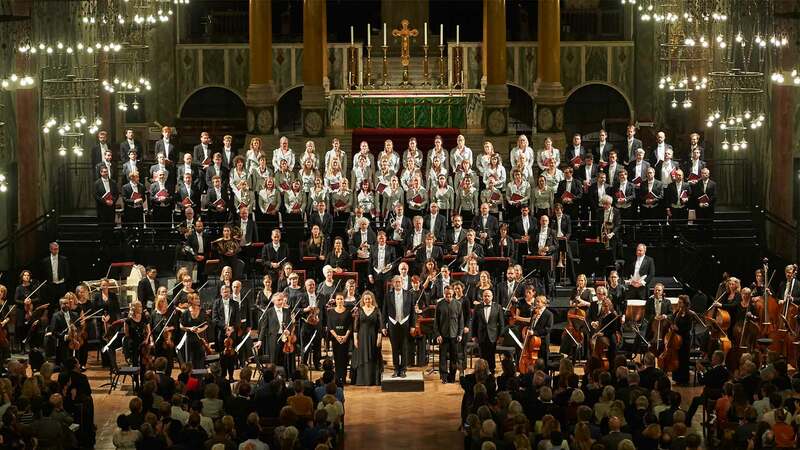 On Tuesday 18 September 2018, Sir John Eliot Gardiner, the Monteverdi Choir and Orchestre Révolutionnaire et Romantique performed Verdi’s Messa da Requiem at London’s Westminster Cathedral. This special evening was in support of Cancer Research UK and dedicated to the memory of MCO’s late Stage Manager Richard Fitzgerald, who worked with the company for more than fifteen years. He sadly passed away following a short battle with lung cancer in August 2016. The concert celebrated Richard’s work, and the stage management profession more generally: the unsung heroes of the performing world. The concert marked 20 years since MCO’s last London performance of Verdi’s monumental work – and is the only UK date on a European tour that will visit a roster of major venues; opening at the National Forum of Music in Wroclaw to celebrate the anniversary of the birth of Poland. The Monteverdi Choir and ORR were joined by soloists Corinne Winters (Soprano), Ann Hallenberg (Mezzo-soprano), Edgaras Montvidas (Tenor) and Gianluca Buratto (Bass).